Yes, indeed, it 's really frustrated that you cannot hear any sound while playing DVD on TV. But the problem does exist extensively, which bothered most of DVD fans indeed. To address the annoying DVD no sound on TV problem, you have to figure out the reasons why this happens at first. Here we list the probably causes and the corresponding solution for no audio problems when playing DVD on TV. 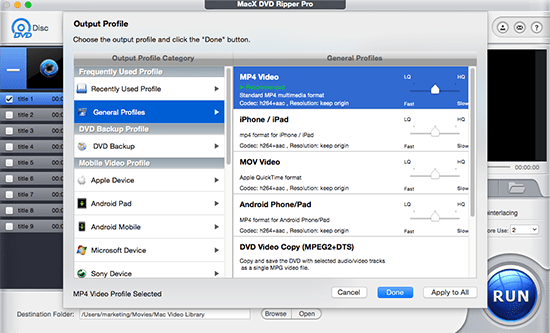 MacX DVD Ripper Pro - Convert all DVD discs to MP4, MOV, AVI or any other HD TV compatible digital formats for playback on Apple TV, Sony, Samsung, LG TV without audio issue. As you can see, the absence of audio from DVD when playing on HDTV can be result from various reasons such as DVD player itself. Here the specific causes and solutions. Reason 1: DVD Player Connection or Cable Issue. 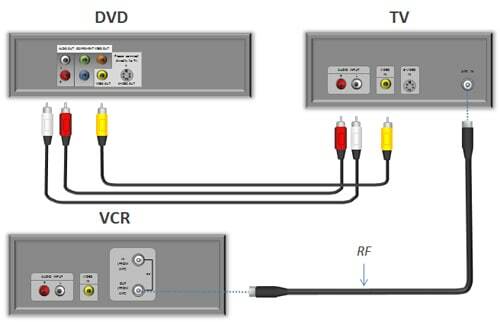 A potential reason why there isn't any sound when playing DVD on TV is due to DVD player connection, namely whether the cables are placed in the right place or placed firmly. * If you used analog Composite (Yellow/Red/White), please ensure they are ALL on the same input. * If it is analog Component (Green/Blue/Red + Red/White) Make sure all 5 connectors are in the right place (do not mix up the REDs). Again ensure they are all on the same input. * If you are connected via HDMI. Some older players or TVs may still require an analog red/white or 3.5mm TRS audio connection. No matter you choose stream DVD to Chromecast, Roku, Apple TV, or connect DVD player to HD TV to play DVDs on TV, HDMI is a nice choice for the DVD to TV streaming. 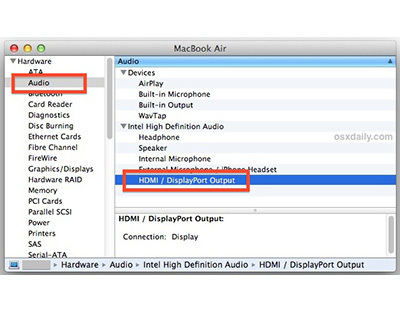 But as you connect your TV to DVD player with HDMI, you must set the audio output of the external device to PCM audio output. Otherwise, you'll meet with no sound problem when streaming DVD to Apple TV, HDTV via HDMI. * It seems that some devices with HDMI output do some "automatic detection" of the whether or not the HDMI output is being used, and may switch audio outputs on or off accordingly. Usually, when the audio output is set to Bitstream or Dolby, you won't get any sound. * If you still have no sound when playing DVD on TV after the external device is set to PCM, try a different HDMI device. Or you can replace the HDMI cable with a new or known working cable. 1 Sometimes DVD won't play with audio issue may be also caused by DVD disc itself. If your DVD disc isn't in a good condition, for example, being scratched, getting damp or something else, there might only picture but no audio when playing DVD on TV. Solution: In this case, you can copy DVD to DVD with original quality to prevent it from scratches, moisture etc. 2If you have store your DVD collections to NAS drive and they're still no sound when playing DVD on TV, that's more a video than DVD audio not working issue on TV. The possible reason might be your movie rip is not compatible to your HD TVs. Solution: To flawlessly play DVD on TV without sound error, you can convert DVD to MP4, MOV, AVI etc. and store them in NAS drive or external drive. For this purpose, MacX DVD Ripper Pro is highly recommended since you can rip DVD to any output with 370+ video/audio codecs built in. Besides, the Mac DVD ripper accepts any types of DVD disc, including the recently released DVD movies, 99-title DVDs, TV series DVDs, workout DVDs, and other damaged or unplayable DVDs. Reason 4: DVD Player Setting Problem. Audio not working on DVD player on TV might also result from the incorrect menu setting. When your DVD player is set in mute mode, or your DVD player is powerless to handle a specific audio track, you'll encounter DVD no sound problem on TV. * Check whether your DVD player volume is mute by default. If it is, adjust it to the normal mode. * Try to switch your DVD to another audio track to test whether it works. You can choose another DVD audio track with an excellent DVD ripper software. Of course, there might be some other reasons for the DVD sound error, if you find some new cuses and solutions, please let us know. We're pleasant to hear from you. Well, getting the DVD audio problem solved can be done within complicated steps. Even worse, sometimes you cannot find the right effective ways at all. So it couldn't be better if there is a versatile solution. The best DVD ripper for Mac/Windows - MacX DVD Ripper Pro will achieve your wishes indeed. Step 1: Free download the DVD ripping software on Windows or Mac edition on Macbook Pro/Air, iMac etc. Click "DVD Disc" to load you favorite DVD movie. DVD Folder and ISO image is also supported as well. Step 2: Choose output format from the automatically popped up window. You're suggested to rip DVD to MP4 format for its wide compatibility with Apple TV, Sony, LG, Samsung HD TVs, and iPhone iPad Android devices. Step 3: Click "Browse" button to save the ripped DVD where you like. Step 4: Hit "RUN" icon to start DVD converting to finally play DVD on Apple TV, HD TVs. MacX DVD Ripper Pro can copy DVDs to Mac/Windows PC for playback without DVD hard drive or DVD disc. So you are eventually far from the DVD player no sound issue. Also try its DVD to digital MP4 MOV MKV AVI iPhone iPad Android feature and you will love it! 100% Safe and Clean!